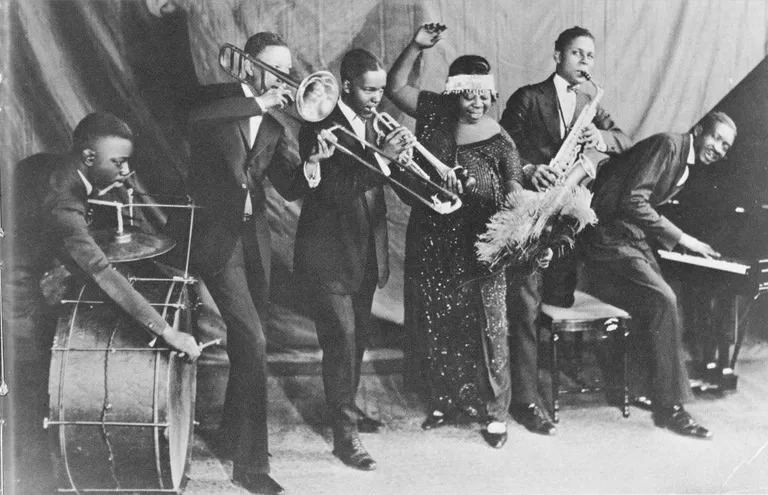 Keeping the Blues Alive / Blues News / Ma Rainey – Wholly Mother of Blues! Ma Rainey – Wholly Mother of Blues! – Michelle S.
This picture is a reminder of the late great Ma Rainey and her over the top personality when she performed the blues! She became known as the “Mother of the Blues!” and she was one of the first blues singers to record music and recorded more than 100 singles that made a historical blues imprint for future generations! – Photo: Michael Ochs Archives / Getty Images. It was a style of blues that was led by female singers accompanied by pianists or small jazz ensembles and were the first blues to be recorded. Ma Rainey, Bessie Smith, Ethel Waters, and the other singers in this genre were instrumental in spreading the popularity of the blues. Ma Rainey (Gertrude Pridgett), was born in Columbus, Georgia on April 26, 1886 to road-tough minstrel troupers and at eighteen, she married William “Pa” Rainey, who took her on the road working levee camps, tent shows and cabarets. 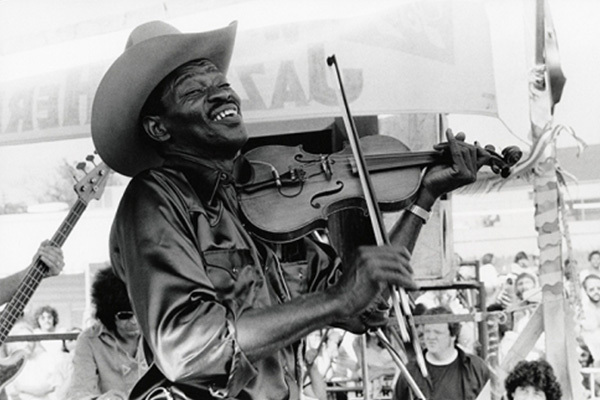 They were billed as “Rainey and Rainy, Assassinators of the Blues” with Tolliver’s Circus and Musical Extravaganza. Separated from her husband in 1916, Rainey subsequently toured with her own band, Madam Gertrude, Ma Rainey and Her Georgia Smart Sets, featuring a chorus line and a Cotton Blossoms Show, and Donald McGregor’s Carnival Show. Her musical delivery was a direct and to the point style of southern blues. When she performed, she was dressed to the nines in glitzy styled attire with her larger than life voice belting out the blues! She had a throng of followers throughout the south which later made recording a record an obvious choice. So, with the help of Mayo “Ink” Williams, Rainey first recorded for the Paramount label in 1923, where she entered the recording industry as an experienced and stylistically mature talent. Her first session, cut with Austin and Her Blue Serenaders, featured the traditional number “Bo-Weevil Blues. In 1923, Rainey also released “Moonshine Blues” with Lovie Austin, and “Yonder Comes the Blues” with Louis Armstrong. That same year, Rainey recorded “See See Rider,” a number that, as Arnold Shaw observed in Black Popular Music in America, emerged as “one of the most famous and recorded of all blues songs. (Rainey’s) was the first recording of that song, giving her a hold on the copyright, and one of the best of the more than 100 versions. She was a shrewd business woman, and retired from the music business in 1935 and settled in Columbus, Georgia. For the next several years, she devoted her time to the ownership of three entertainment venues, the Lyric Theater, the Liberty Theatre and the Airdrome. Ma Rainey passed away on December 22, 1939. She may be gone but she is definitely, not forgotten! 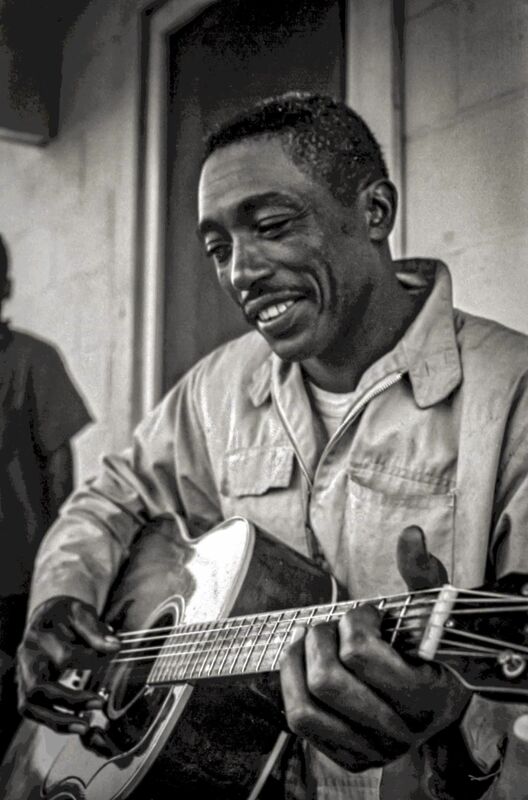 Rainey was inducted into the Blues Foundation’s Hall of Fame in 1983 and the Rock and Roll Hall of Fame in 1990.